End of Tenancy and Move out Cleaning M3 Castlefield | Quality Property Care Ltd. In order to get the best move out cleaning in Castlefield M3, call 0161 823 0325 and request a free quote from our staff. The customer support center is available so you can reach us right after regular working hours for info or reservations. All through the property and bedrooms we take proper care to dust through and clean all of the woodwork, eliminate all cobwebs from ceilings, clean light switches and electrical sockets. For areas where wall spot cleaning is required, you can arrange for per room cleaning up for 15 GBP. We wash mirrors and photos, as well as the top of photo frames, light fittings and shades. We clean all switches and skirting boards, as well as wipe on top of all doorways and door frames, clean flooring edges, wash curtain rails, clean up all over the fire place and its encircling area. We also wash and dust the wardrobe inside, outside and on top, we do the same with the cupboard - inside/out and on top. Doorway marks are taken out as well as clean inside of boxes. We wipe down windows sills, wipe doors and get rid of finger prints from door handles and close to door handles. Carpets and rugs we clean extensively, we vacuum through to the edges and move home furniture to access all concealed places for a more comprehensive finish, if needed we can clean up with a dry solvents or use a steam cleaner to extract deeply embedded stains. Hard floors we wash with a mop and check for and get rid of residual hair and dust. 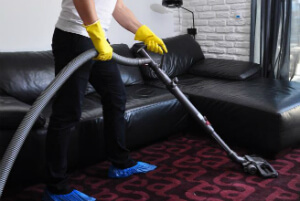 Identified as a deep and thorough purge, move in and out tenancy cleaning calls for solid efforts, good sanitizing skills and in depth inspection for discolorations, microbes and dust. Until the whole track marks is out, none of the hard-working Quality Property Care Ltd. end of tenancy cleaners Castlefield M3 will leave your property. Our trustworthy post tenancy cleaning company has the perfect formula for success: revolutionary cleanup approaches + personal approach to each customer. Note that in case of an omission, our end of tenancy cleaning company Castlefield M3 gives you a guarantee. Call us in just 48 hours and we will re-clean your house for free, if you or the landlord, real estate agency are not satisfied with the final result. There is always a preliminary assessment by the skilled end of tenancy cleaners. Personal service plan is needed. We offer special rates for landlords and real estate agencies. Kitchen devices like microwaves, ranges, toasters and so forth are cleansed thoroughly as well, each done carefully and with intent to do a fine job. The range is cleansed, degreased with its stove, hob and barbeque grill property treated, the grill pan and oven racks are cleaned, the inside top of the oven will get a special treatment, the rubber seal is wiped and cleaned and we move the stove to clean behind it if necessary. The microwave is leaned within and out, as well as on the top, any chemical substances applied to clean and remove food remains is wiped away and fully washed, the rubber seal is inspected and the stove is clean on top and beneath. We won’t neglect even the littlest of details, your toaster is cleansed from any leftover crumbs, its wiped clean if necessary. Hurry up to make a quick reservation for our flexible end of tenancy cleaning company Castlefield M3 services! Quality Property Care Ltd. is ready for your end of tenancy cleaning needs. Get a free quote now or ask for further info! Dial this 0161 823 0325 phone number or the internet booking form and book our end of tenancy cleaning service in Castlefield M3 at fraction of the cost today!